JVM,JDK and JRE are the important points to discuss while studying java. Here, we have explained brief overview of JVM. If you want to know about it in more detail, then you can read it in next post. JVM: JVM is an acronym for Java Virtual Machine which is responsible for converting the bytecodes into machine language and executing the program. It performs the following operations. JRE: JRE is an acronym for Java Runtime Environment. 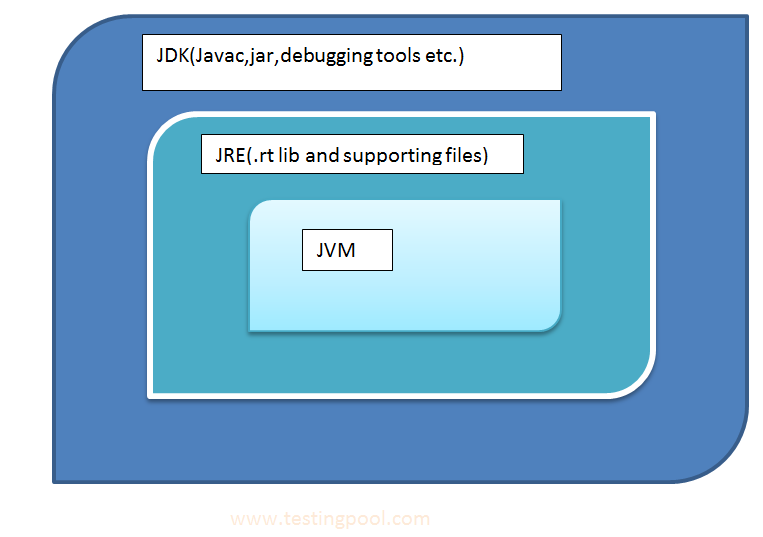 It contains class libraries and other supported file which are required by JVM at the time of running program.JRE needs to be installed for running java program on the system. JDK: JDK is an acronym for Java Development Kit. It contains the JRE and development tools like compiler (javac), java application launcher (java.exe) etc.